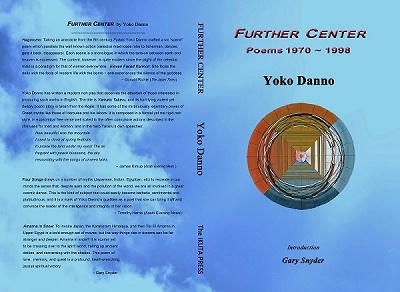 • Further Center: Poems 1970- 1998" was published by the IKUTA PRESS in October. • Panel Reading and discussion on Writing Japan issue of Asian Cha Journal at Japan Writers Conference (JWC)at Ekota campus, the Nihon University, Tokyo, October8th and 9th. • Yoko read from "Woman in a Blue Robe" at Isobar's Book Launch, on 18th November, at the Wesley Center, Roppongi, Tokyo. • Yoko's poem GERMINATION was featured in ALL ABOUT MY NAME Poetry Series by Silver Birch Press. • Authors Live! :Yoko read her poems and a series of Linked Quatrains, A Chimera Grows During the Thaw, composed with Trane DeVore, Jessica Goodfellow, Goro Takano and Ikuyo Yoshimura. • The revised edition of "Songs and Stories of the Kojiki" (retold by Yoko Danno) was published by Red Moon Press, August 2014. • Yoko Danno's new prose poem Dream of a Butterfly is published in a glimpse of #16, 2014. • Yoko Danno's poems are in Poetry Magazine.com, spring 2014. • On September 28, in Kyoto, JIPS poetry reading is held in conjunction with the worldwide 100,000 poets for change events. • Yoko's prose poem A Pursuit of a Bird (and its Greek translation) is in a glimpse of, 2013. • "Collaborative Poetry in Image and Sound: Poetry Globe. Colours" at St. Perter's Church in Riga was made into a DVD by apostrofs (Latvia, 2013). 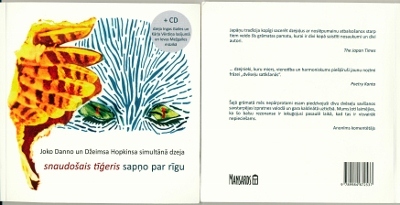 •The collaborative work by James C. Hopkins and Yoko Danno, "a sleeping tiger dreams of manhattan," was translated into Latvian under the title "snaudosais tigeris sapno par rigu " and published by the Mansards Publishing House, Latvia, in September 2012. 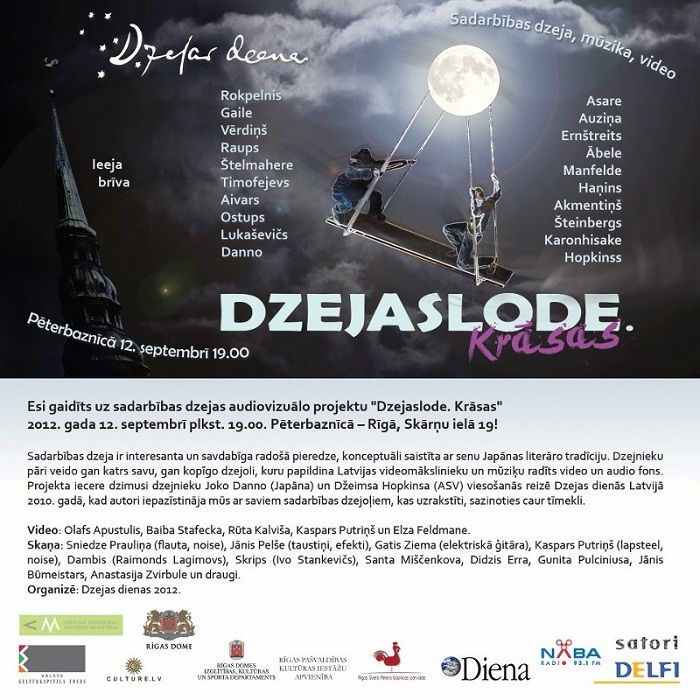 The book-launching event was held on the 13th of September, sponsered by Latvian Literature Center. 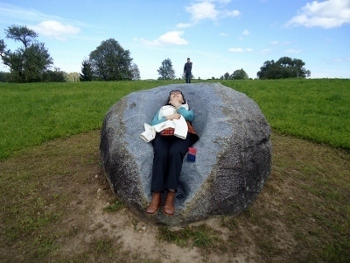 The idea of the project comes from Poetry Days 2010 in Latvia when poets Yoko Danno and James C. Hopkins had reading of their collaborative verses. Making of collaborative poetry is a special way of creative expression where authors are writing simultaneously both their own verses and one joint verse. Collaborative poetry has its roots in a literary tradition of ancient Japan. 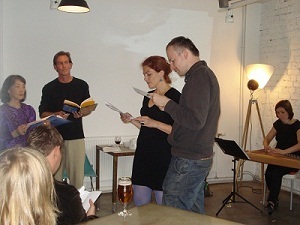 The concept for the present reading was developed in 2011, envisaging creation of collaborative verse sequence by some poets of Latvia. 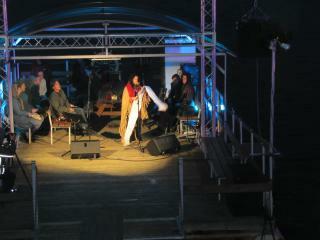 Twenty poets were involved in this collaboration in the summer of 2012. Six verses are written in Latvian, others in Latgalian, Liv, Russian and English language. Poetry Globe is a symbol revealing the nature of collaborative verse where wholeness of each individual author joins with a wholeness of poetic world of another. 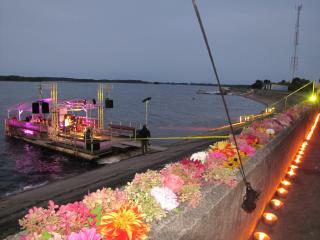 Video images and ambient music for the reading are provided by several video artists of Latvia. 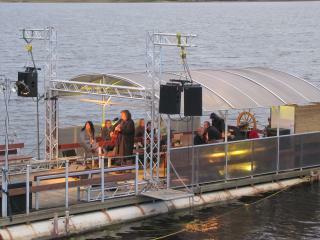 •We were also invited to the classic poetry night "Flowers for Daugava" on the pier of the Ikskile river. 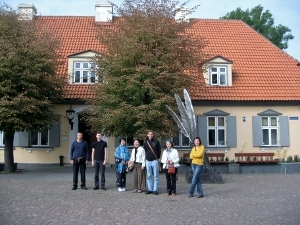 Marie Kanno, Kyong-Mi Park, James C. Hopkins and Yoko Danno were invited to Poetry Days in Latvia by Latvian Writers Union. •11th: Poetry workshop at Kim? Poetry reading by Kyong-Mi Park and Marie Kanno at Meta-Kafe, Riga. •12th: Reading by James C. Hopkins and Yoko Danno (in English) and a pair of Latvian poets (in latvian) of a sleeping tiger dreams of manhattan, accompanied by music played on the Latvian traditional instrument kokle, at Meta-Kafe, Kim?. We also visited Open-Air Art Museum at Pedvale: State Historical Monumentet, opened by the sculptor Ojars Arvids Feldbergs in 1991. We planted stone seeds in its stone garden! 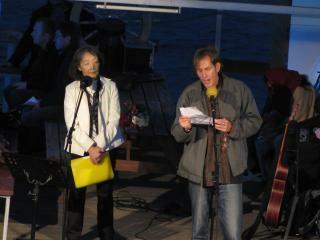 Poetry anthology by Pirene's Fountain as a response to the Japan earthquake and tsunami.